The National Institutes of Health determined not to renew the federal advisory committee’s charter for ME/CFS, or the CFSAC, by letting it expire. This committee was formed 16 years ago to share critical disease information and advice with the Secretary of Health. As a result, many were concerned that the NIH would no longer formally address the urgent need for diagnostic and treatment protocols for this disease population. However, the NIH followed the demise of CFSAC with an announcement of the formation of a working group to help advance ME/CFS research priorities. The following information was taken directly from the NIH website. In May of 2018 the National Institute of Neurological Disorders and Stroke (NINDS) announced the creation of a Working Group of the National Advisory Neurological Disorders and Stroke (NANDS) Council focused on how best to advance research on myalgic encephalomyelitis / chronic fatigue syndrome (ME/CFS). The Working Group was formed in summer 2018 and is composed of scientists, clinicians, representatives from advocacy organizations and individuals with ME/CFS, and is chaired by Dr. Steve Roberds, a member of the NANDS Council. The group held an introductory teleconference on September 4, 2018, during which Dr. Walter Koroshetz, NINDS Director, charged the group with providing scientific guidance on how best to advance research in ME/CFS at NIH. This includes identifying gaps and opportunities in ME/CFS research, considering unique opportunities for NIH-supported ME/CFS research to attract and train a pipeline of new and young investigators in this field, and identifying potential approaches to enhance ongoing research collaboration and communication between relevant advocacy organizations, individuals with ME/CFS, researchers, and federal agencies focused on funding research in ME/CFS. 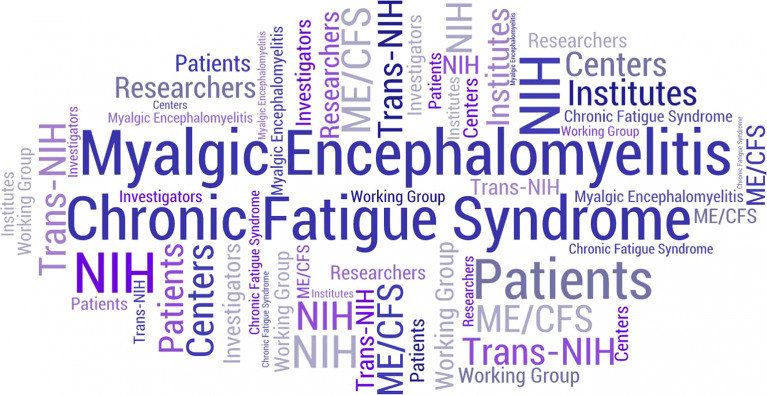 To inform these activities, the Working Group will seek input broadly from stakeholders (including people with ME/CFS, researchers and clinicians, and advocacy organizations) and other federal agencies, and will frame its findings in the context of ongoing activities.